When was the last time you described a market researcher as brave? We are not firefighters, soldiers, or disaster relief workers. Yet, market researchers are performing acts of bravery that also deserve recognition. Virginia Valentine was a pioneering woman who brought semiotics to the market research industry through persistence and dedication. Though she won many awards in market research, the one that meant the most to her was the one she received for being a research revolutionary from her peers at the Research Liberation Front event in 2007. When Ginny died, it seemed fitting to commemorate her achievements and honor her tremendous spirit. 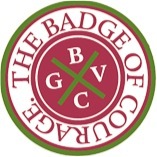 Thus, in 2012, the Ginny Valentine Badge of Courage Award was established. Since then, the many stories that have come to light have been inspiring. For example, many clients and market research agencies are ignorant to the dangers that can be faced by fieldworkers on the front line. In 2012, ESOMAR nominated ORCA, a market research agency based in Afghanistan, which works to collect unbiased data out of this country. In doing so, two of ORCA’s employees were killed on suspicion of being American spies. In 2014, a fieldworker in South America named Catalina was awarded on behalf of all fieldworkers in the region for resilience in the face of danger. While conducting research, Catalina was attacked by a gang of men, escaped and she returned the following day to complete her work. While her story was nominated as a representation of the dangers fieldworkers face in South America, it also sparked a debate about the safety conditions faced by all women in market research. Following Catalina’s acceptance of the Ginny Valentine Badge of Courage, WiRe (Women in Research), held a webinar on women’s safety in research and at which Susan Steele (previously Global Chief Human Resources Officer at Millward Brown) pointed out the dangers that existed within the office and at market research social occasions where women can find themselves in awkward and vulnerable situations. Now in its 4th year, we are looking for new stories of bravery. These could come from any part of the market research industry, from any country, from someone of any age or gender. Variety is at the heart of these awards. Nomination takes five to ten minutes by going to www.ginnyvalentineawards.com and the deadline for nominations is April 30th. There is a perception that market research is a conservative industry, but the stories that have already been collected demonstrate the contribution the people in our industry are making to society. Help us to unearth more awe-inspiring stories that make us proud of what we do. The Ginny Valentine Badge of Courage Awards will be held on June 16th at IIeX Atlanta with the support of GreenBook, the Research Liberation Front, KL Communications and TNS.